Here's a good one. 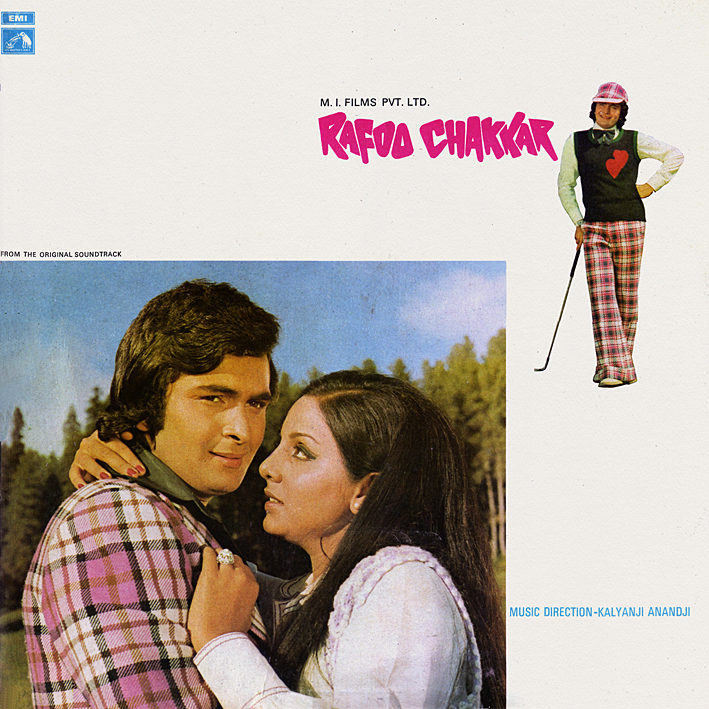 'Rafoo Chakkar' is primarily sought after for its funky instrumental, on which Kalyanji Anandji took Henri Mancini's theme from 'The Thief Who Came To Dinner' and fused it with the sound of Isaac Hayes' 'Theme from Shaft'. The result is a Bollywood classic. I once received an email from a guy wondering about the rest of the soundtrack. He'd downloaded it via iTunes and wasn't sure he'd received the correct album - the remaining tracks sounding decidedly different. And non-funky. Which goes to show that the difference between the instrumentals that turn up on compilations (in the West) and what constitues the majority of these scores really is designed to baffle first time listeners. Not that the songs are bad; in fact there are more good ones here than on most albums. 'Dil De Na' and 'Chhup Chhup' are 60s-tinged beat numbers; and 'Ae Zamane' and 'Kisi Pe Dil' are the same only with singing that sounds more traditional. All are great. Just not funky. Except for 'Chhup Chhup' where bits of it actually is, kind of. So either way, it's a winner. Great write-up, PC! Really looking forward to this one! Thanks! Definitely not a Funk factor from the Funk brothers but still a great one.